When you search for free knitting patterns in search engines, you find a lot of sites that just lead to other sites. And many of those force you to register to get any of the patterns, etc. Sometimes the sites are so badly organized that you end up clicking page after page and still not finding any patterns you like. The following sites take you straight to the patterns, with no fuss, no logins, no special requirements. They’re well-organized, and we update this list several times a year or whenever we find one of the sites has changed or gone away. If you know of any other sites like these, please let us all know in the comments! And if you need to buy some yarn online, Amazon has a great yarn section. If you want something more unique, Darn Good Yarn sells artisan recycled yarn, handmade in small batches. 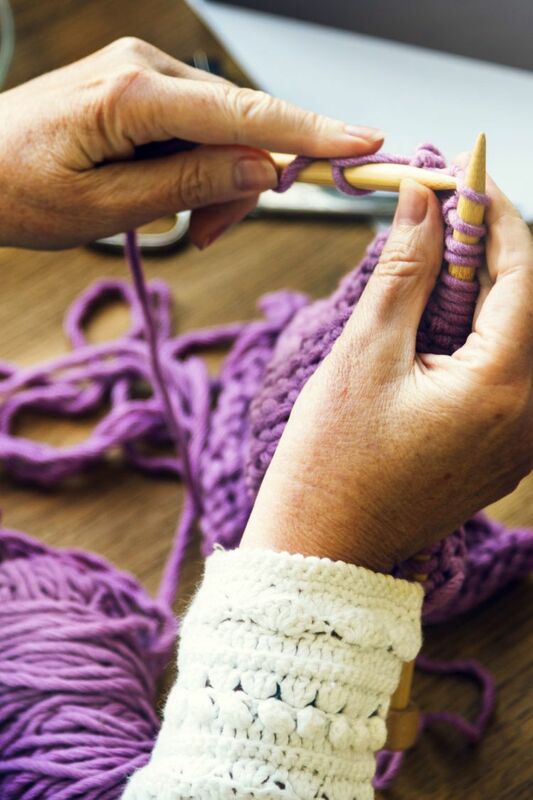 Annie’s also sells yarn, along with some wonderful online knitting classes, like this beginner Kate Atherly class for anyone who’s new or needs a refresher. Or you could choose a class for learning continental knitting, or this one on knitting finishing techniques. 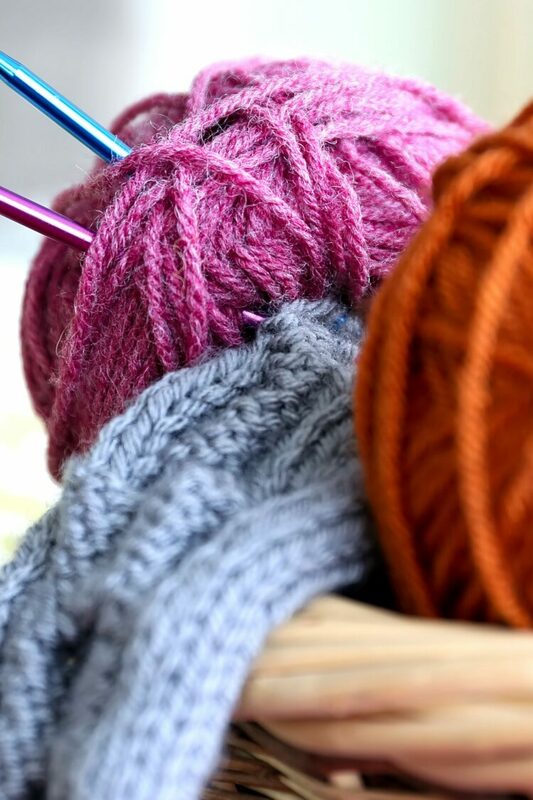 These classes also make great gifts if you want to introduce someone in your life to knitting. One of the great things about these Kate Atherly courses is that you can ask her questions and she will answer. And once you pay for them, you can access the course as many times as you want, for as long as you like. 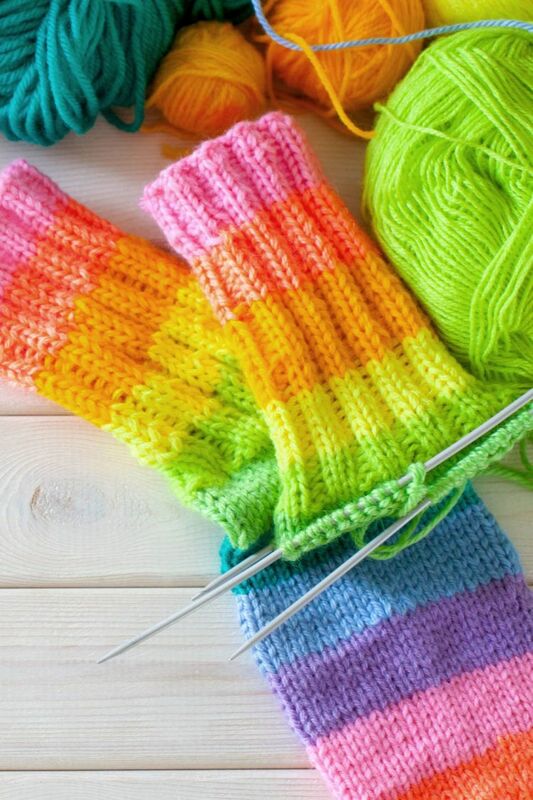 Or you could try this Susan Bates Knitting Kit which includes all the equipment and supplies you need to complete 16 knitting projects, including scarves, hats and baby blankets. This set is great for knitting beginners! And check out this great knitting bag to store all your supplies. It’s compact, it keeps everything organized, and the dividers stand up without collapsing. It’s perfect for separating everything into its own place and keeping curious pets from getting into your knitting supplies. 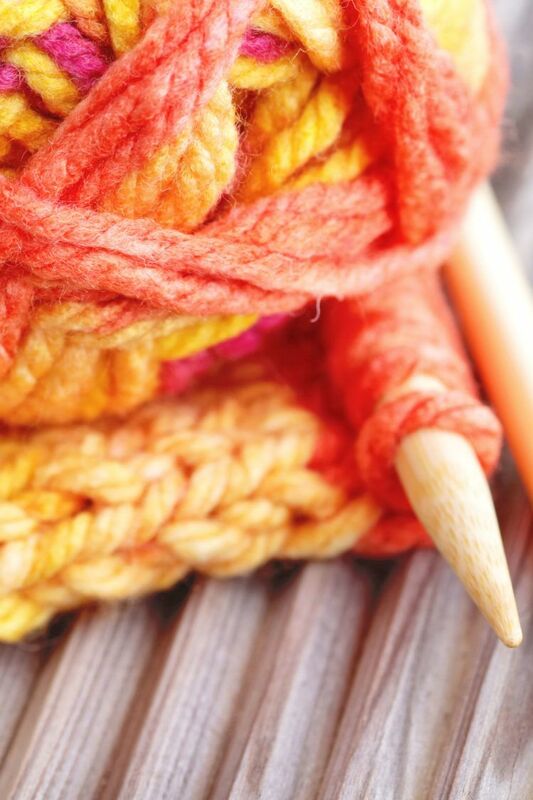 You may also want to check out my collection of 42 crochet tips and resources. Now onto the resource sites! This online knitting magazine lets you search for specific patterns or browse archived back issues with not only knitting patterns but tips, articles, and links to other goodies (hat tip to reader Sarah!). Browse categories like hats, scarves, shawls and more. This site has a lot to choose from, and it’s all arranged so you can easily browse and drill down to find what you want. For example, the category “Baby Knits” has subcategories for baby blankets, baby hats, baby sweaters, etc., so you can get really specific. This one will ask you for an email signup, but you don’t have to give it in order to get to the free knitting patterns. This one features patterns that have been archived from their Drops catalogs. Great browsing and search features make it easy for you to sort and find just what you want. They also offer some tips and discussion about various products. This is another database style collection with a robust section of free knitting patterns. This one keeps it very simple. You just click the pattern you want. This site has a good selection of free patterns. It’s not particularly searchable, so you have to just browse, but there’s some good stuff. This newsletter archive links to a lot of free knitting patterns. Sometimes the actual pattern is hosted on Ravelry or another third party site, but so far I haven’t had to create an account to download any of them. It’s not searchable, but there’s some very nice stuff on there! Okay, so the name is a little odd, but it’s easy to navigate and has a lot to choose from, including tips as well as free knitting patterns. This one has a list of categories at the top. Click the one you want, and browse what they have to offer down below. You can see pictures of each finished product, which makes it easy to see if the pattern will be what you want before you click over. This is a well-organized, searchable database of free knitting patterns. Some of their links go to sites that require email logins, but most do not. The site is well-maintained, so you don’t run into error pages where a pattern has been removed but the links to it are still there. In addition, the site offers tutorials, tips, encouragement pages and links to other craft sites that are worth checking out. Wow this is great everything u said is true thankyou. This is such a useful source, I am yet to try it out but I want to thank you for it already. I get free patterns in my inbox each week from Purl Soho, In The Loop Knitting and from Berocco. Hopefully I’m not mistaken but I don’t remember having to sign in to any of these sites. I use Craftsy.com. A lot of the patterns cost money but you can click on the price range section for free patterns. And there are a ton of free ones. You can also sort for patterns based on who/what they are for, garment type and difficulty level. It’s great! there is also Yarnspirations (Bernat, Red Heart), Lion Brand no longer needs you to sign up . Rowan, Cascade and many yarn company have free patterns available. Not sure if all of the links in the “All Free Knitting” work, my experience it can be hit or miss..
this is great info. Glad I saw this.